Acadia Healthcare is a leading behavioral healthcare services provider headquartered out of Franklin, Tennessee. The company was established in 2005 and has experienced rapid growth as a result of strategic acquisitions and a sharp focus on the delivery of psychiatric and chemical dependency treatment services. Acadia recently bought out CRC Health Group for a reported $1.2 billion in a well-publicized sale which closed in February 2015. The acquisition significantly expanded Acadia’s opioid addiction treatment capabilities adding approximately 82 methadone/suboxone facilities nationwide. The company is nicely positioned to serve tens of thousands of patients on a daily basis who are struggling with opioid addiction and other associated illnesses. 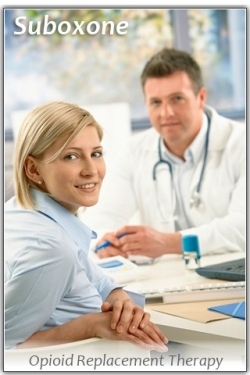 Methadone and buprenorphine products are utilized in association with a variety of counseling approaches. Just added to Methadone.US are five of Acadia’s opioid treatment clinics located in San Diego, Riverside, Baltimore, Portland, and Southern Indiana. Acadia Healthcare’s mission is to create behavioral health centers where people receive care that enables them to regain hope in a supportive, caring environment. The company presently has behavioral healthcare facilities in 37 U.S. states, the United Kingdom, and Puerto Rico. These include residential treatment centers, inpatient psychiatric hospitals, outpatient clinics, and therapeutic school-based programs. Right Path is an opioid treatment provider operating in the greater Hampton Roads area of eastern Virginia. The organization specializes in the use of burprenorphine (the critical ingredient in Suboxone that alleviates opioid withdrawal symptoms). Right Path currently have outpatient services in Virginia Beach, Newport News, and Suffolk, but plan to soon offer a location convenient for residents and visitors along the Outer Banks. Recognizing the importance of individualized treatment plans, Right Path tailor their services to the needs of the individual patient. 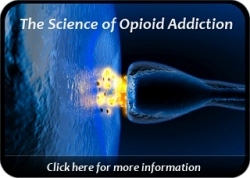 While suboxone is beneficial in eliminating the pain of opioid withdrawal, addiction counseling is essential in helping patients to understand the addiction and recovery process. Right Path provide addiction counseling as a component of their overall treatment program.